Students prepare hiking trail as a gift to the State, uncover ancient oil lamp adorned with a symbol of a menorah. Students examine the Sanhedrin Trail web application next to one of its smart stones. 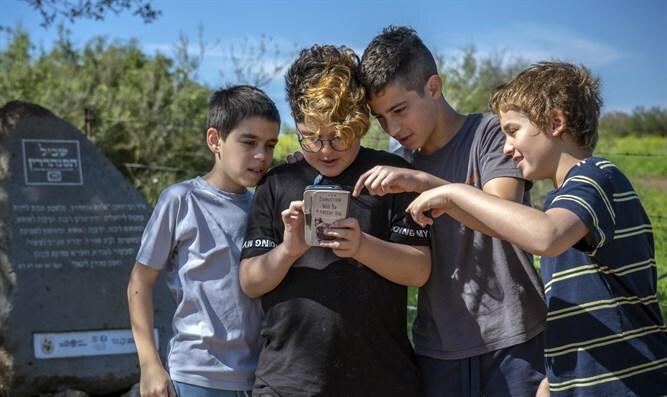 This year in the Galilee, thousands of Israeli students are excavating and organizing the first "smart trail," in which dozens of stones on the trail will transmit information and activities to hikers’ mobile telephones. While working, the students unexpectedly found a 1,400-year-old oil lamp bearing the symbol of the Temple’s menorah. The trail will be presented as a gift to the country as part of the celebration of its 70th year of independence. It covers a distance of 70 kilometers (43.5 miles) and is divided into sections, tracing the movements in the Galilee of the country’s greatest figures, the 70 sages of the Sanhedrin who rehabilitated the Jewish people following the Bar Kokhba Revolt. Like them, the trail crosses the Lower Galilee from Beit She’arim to Tiberias. 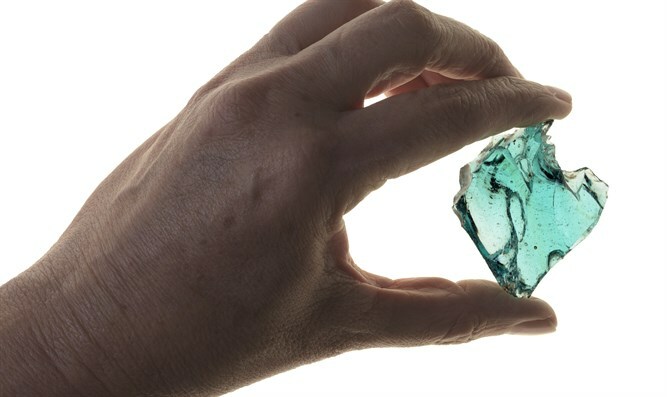 During the excavations, students uncovered material remains from the time of the Sanhedrin: evidence of the glass industry that is also mentioned in rabbinical texts, as well as ornamental items dating back 1,800 years. 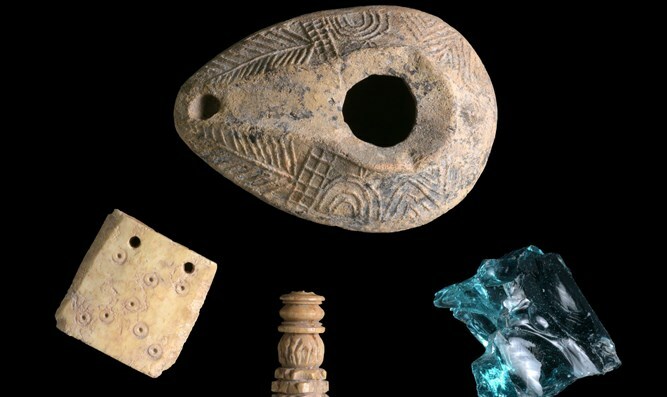 A particularly special surprise that was discovered while excavating the trail was an intact oil lamp decorated with the menorah symbol, dating to the Byzantine or Umayyad periods. Dr. Einat Ambar-Armon, an IAA archaeologist and an expert on ancient clay lamps, said, "Unlike the modern day symbol of the state in which the Temple’s menorah is depicted with seven branches and a single broad base, the menorah engraved on the ancient lamp has eight branches and a three-legged base." 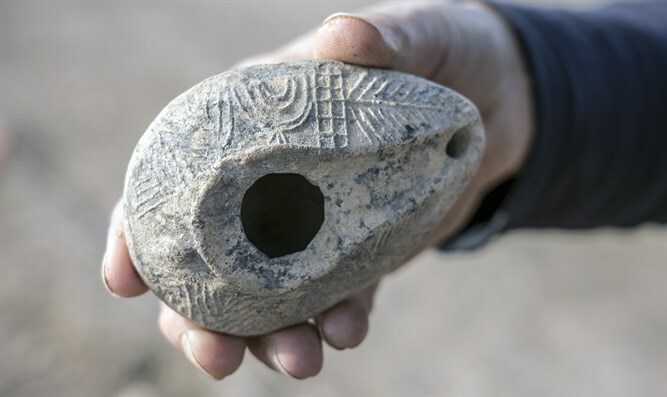 "The discovery of a lamp decorated with a menorah, a symbol of the Jewish people, is without doubt exciting, especially at a site with such a unique heritage in part of the Sanhedrin Trail." Another fascinating discovery that occurred during in the excavation of the trail is that of Ilai Yonah, a student at Hamoshava High School in Zikhron Yaʽakov, who found a gold coin on the trail. 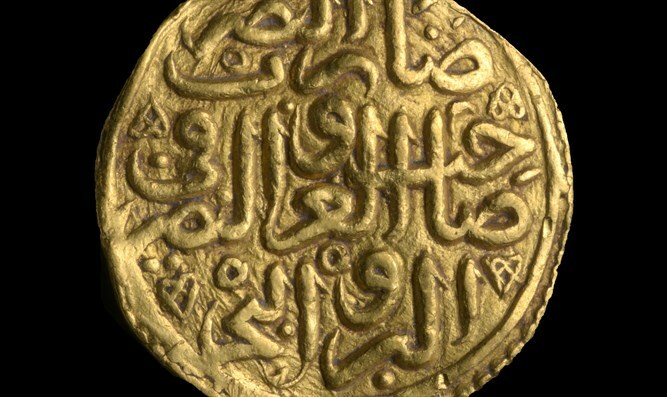 The coin bears an inscription of the sultan Suleiman the Magnificent, builder of Jerusalem’s city walls. Only two others such coins exist in the State Treasures. The Sanhedrin settled in Usha, and then moved on to Shefarʽam, Bet She’arim and Zippori until it was finally established in Tiberias. The route the Sanhedrin Trail follows is divided into sections for the convenience of hikers; it crosses the Galilee along nature sites and through magnificent landscape, such as Nahal Zippori, Yodfat, Mount Arbel, Mount Atzmon, and others. Israel's Antiquities Authority (IAA) will open the Sanhedrin Trail in honor of Independence Day. The trail is unique and interactive, and thousands of young people are currently preparing and excavating it. It will be presented to the State in honor of Israel's 70th Independence Day. Immediately after Independence Day, there will be a week of activities inaugurating the Sanhedrin trail. The week will be marked by free activities open to the public, as well as events attended by thousands of school children. A unique web application that will serve as a readily accessible "independent guide" for those hiking the trail in the spectacular landscapes of the Galilee, offering a unique hiking experience for families, individuals and groups. Dozens of large "smart" stones, each constituting a kind of relay station situated along the trail, will transmit relevant useful information and activities directly to the hikers’ mobile telephones. The new web application "communicates" with the stones, offering information about the recent and ancient history of the Galilee, flora and fauna, landscape, observation points and attractions. The application, which is currently in an advanced stage of development, is already operational, and can be used while hiking along parts of the trail. IAA Director Israel Hasson said, "The new trail and the discoveries along it are a celebration for the citizens of Israel on the occasion of 70 years of independence and a gift from thousands of young people who invested so much of their energy in developing it." "This is a flagship project that connects the future generation preparing the trail to its heritage and to the Jewish people’s great and inspiring leaders. The trail is a groundbreaking endeavor utilizing state-of-the-art technologies in order to connect with our roots. The project will be further developed in the coming years, creating continuity from the distant past to the future, which will be used by hikers in Israel today and, hopefully, future generations as well." IAA archaeologist Yair Amitzur, who conceived the idea of the trail, said, "The Sanhedrin Trail is a huge project incorporating within it the values of nature, environment and history and is where the cultures of all of today’s populations in the Galilee meet. There is no other a trail in Israel that utilizes such an application, and in this respect, we the archaeologists are making history." Evidence of the glass industry from the time of the Sanhedrin.